I am the type of person that researches everything. 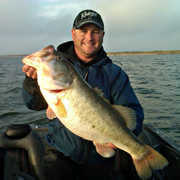 Before even choosing a guide, I went online and searched "Best Lake to catch a 10 pound bass". It seems like an almost impossible accomplishment but I figured I would try to find the lake that would give me the best chance. In the US it seemed like Lake Fork Reservoir in Texas would be my best option. Once I decided on the location, I needed to find the best guide available. Over the course of three months, I talked to and emailed with 11 different Lake Fork guides before deciding to book with Jason Hoffman. He was extremely responsive and helpful in setting up and booking my trip. I was even able to leave a deposit on his website. This was impressive considering half the guides I talked to did not even have a website. It was an easy trip from the airport to the hotel at the lake. I met Jason on the morning of the first day, he took care of everything and got me fishing within minutes. Our first bass of the day was almost 7lbs!! I could not believe that Jason was able to get us on the fish so quickly. Within the first two hours of the day I had shattered my personal best bass by catching a bass weighting a hair under 8lbs. The entire morning we kept catching huge bass. 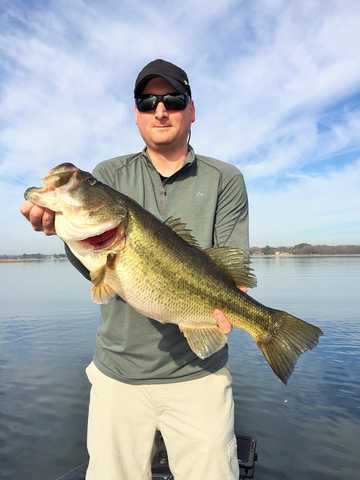 Coming from the east coast where a very big bass was 5lbs, fishing with Jason on Lake Fork was like fishing in a dream world. The most memorable part of the trip came in the afternoon of the first day. Jason had just given me some pointers on a new technique he was teaching me. I cast my line out and my bait is absolutely slammed. My drag is peeling off and I am fighting a monster bass. I get it to the boat and Jason lands the fish, he smiles at me and says, "this is a fish of a lifetime". He pulls the fish out of the water and it is the biggest bass I have ever seen! We took the time to measure it and weight it on two scales. 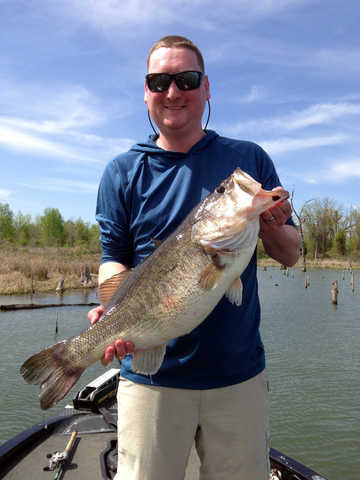 Jason was not kidding, it was the bass of a lifetime and it weighted 12.31lbs!! We took a ton of pictures and got that beautiful bass back in the water as quickly as possible. I hope that one of the people reading this review will catch her when she is 13lbs or more. Jason knows where the biggest bass are, I am proof of that. 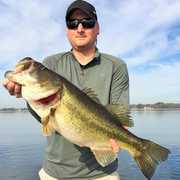 When I got back to my hotel that night I decided to start looking at some of the top bass fishing pros and how big their lifetime biggest bass where. It turns out that the bass I caught on my first day fishing with Jason is bigger than Kevin Van Dam's biggest bass he ever caught. It would have been a state record in 28 states. That pretty much says all you need to know about Jason's ability to get his clients to the best fishing spots on the lake. 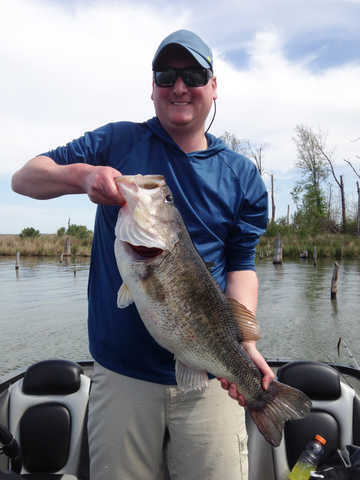 It was the most amazing trip, the trip of a lifetime that included bragging rights that I caught a bigger bass than KVD's personal best and I have the pictures to prove it. My only regret was that I did not fish another couple of days. On my way home from the airport I emailed Jason and asked about booking another trip next year. I can't wait to do it again.